Antonovych, Kateryna [Антонович, Катерина; Antonovyč] (née Серебрякова: Serebriakova), b 23 October 1884 in Kharkiv, d 22 February 1975 in Winnipeg. 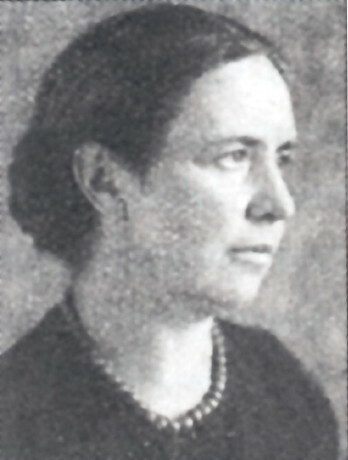 Painter and professor of art history, wife of Dmytro Antonovych, mother of Marko Antonovych and Mykhailo Antonovych. She studied in the Ukrainian National Academy of Art in Kyiv under Vasyl H. Krychevsky and Mykhailo Boichuk; from 1923 she was in Prague, where she worked in the Ukrainian Studio of Plastic Arts and the Museum of Ukraine's Struggle for Independence. Antonovych emigrated to Canada in 1945, and from 1954 directed her own drawing and painting school. Her portraits, landscapes, and still lifes were exhibited in Canada and in the United States.